So you like soups and smoothies, milkshakes and purees, love adding chopped nuts to everything, have a thing for milling grain, and, last but not least, want chopped ice in your cocktail. To do all this, you have an array of kitchen gadgets filling up cupboard space. Some of the gadgets get used regularly, others just now and again, and the rest are gathering dust. On the other hand, you could have gone for another option, and bought a single kitchen implement that will do all that and more: a blender. When we talk about a blender, there are basically three different types. The stand alone jug blender, the smaller one serving personal blender, and the stick blender. In this review, we are going to look at the larger jug blenders, which can chop, and smooth, and blend enough for all the family. Blending your foods can be a very beneficial and crucial part of your diet. You are able to make a delicious smoothie that provides you with nutrient-rich ingredients that help support your immune health and control your weight. Blending foods have been known to help your overall health; both mental and physical. Not only is a good for you, but you are also given the advantage of a quick preparation and fast clean-up, which saves you a lot of time. If spare time is something you find hard to come by, then making a smoothie may be something you need to try as it can be used as a meal replacement. When you add a protein powder, your smoothie can last you until your next meal! Overall, blending foods can improve your health and provide you with extra time for those who are always on the run. To make sure you get yourself a really good quality, durable blender, we picked the 10 best we found on the market! If you are not sure about blending and want to 'dip your toe in the water' so to speak, and not fork out a wad of cash on a machine, then the Philips Avance is a great option. It is not the fastest blender out there, but if you are happy to be patient, you will get smooth results from this relatively quiet machine. It is a good all-rounder and can make smoothies, and crush ice as well as other machines, but it takes a little longer. The controls are simple to operate, and it is fitted with suction feet, so it will not vibrate and move around your kitchen worktop. It has an off-center blade position, which means all the ingredients get evenly chopped and shouldn't get stuck in the 2-liter blending jug. Consumer reviews have commented on how his machine needs plenty of liquid to work at its best. That is not surprising, as it only has an 800W motor, and is not up to the standard of super-blenders for dealing with lots of solid items and turning them into a liquid, but it is only a quarter the price of some of the more expensive brands. This is one of the breeds of new super-blenders or high-speed blenders which have become popular with the craze for juicing green vegetables and turning them into protein and vitamin smoothies. This is an incredibly powerful machine and has a patented bowl and blade system, which allows for an auto clean function, we'll come to that in a moment. There are five preset programs, for things like smoothies, and soup making, and along with 12 speeds its got everything covered. However, this machine is loud. Because the motor is so big and generates heat, over time, it can warm soup as it is blending, but for some people, the noise of the machine going on for six or seven minutes might be too much. To clean once you're done with making soup or a smoothie, all you need to do is rinse the jug with fresh water, and leave a little in the bottom and add a drop of dishwashing liquid, before pressing the auto clean button. The machine cycles itself clean ready for your next bending adventure. The Sage Boss Super Blender comes with a seven-year warranty. This is probably the cheapest blender we are looking at, but don't let the price tag fool you. The Russell Hobbs Creation Jug blender can give its more expensive competition a run for their money. A good test of a blender is making pesto sauce, as it tests a blender with both wet and dry ingredients. 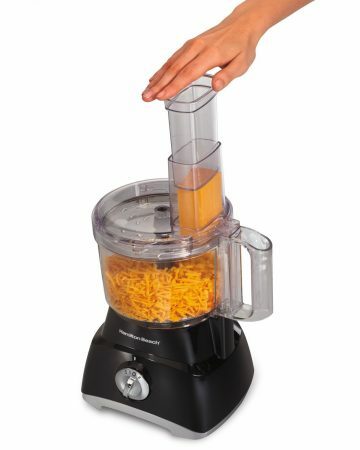 This blender came out with a smooth sauce, with just the right amount of grinding to make it truly delicious. Lots of reviews praise it for making soups and smoothies, and it can even crush ice. Along with the durable glass jug, the machine comes with an extra grinding attachment for coffee beans or grains. The motor is not the most powerful among the machines we are looking at, but it gets the job done, although it might not be as quick as some others. Also, you will have to wash the blades by hand as they are not dishwasher safe. All-in-all for the price is blender is good value for money. For those who like a more industrial look to their kitchen, the Blendtec 575 Classic is bound to be on your list of desirables. This is the type of blender used by restaurants and smoothie bars the world over. The American made machine is one of the granddaddy's of the blending business. Unlike other machines, the blades in the Blendtec are dull, thicker and stronger than most other machines, so there is little chance of cutting yourself on them. They are designed to pull the ingredients down into a whirlpool, rather than spray them around the edges of the jar. And like the more expensive blenders, it's easy to clean with a pre-programmed self-clean cycle. This is a brute of a machine, and almost impossible to break, so that is why it comes with an eight-year warranty, which is longer than any other offered by manufacturers. The only drawback most users agree on is that this machine is noisy. Kenwood calls this blender a classic, and it really is. With a solid base housing, the motor and a glass jug for blending the Kenwood Blend-X is exactly what you would expect from a blender. The multi-layered blade makes short work of even the toughest ingredients. People have bought this blender specifically for blending grains and seeds such as flax to make their own flour for specialty bread. So, it is not surprising when mixing liquids it turns out a super-smooth smoothie and has no problems crushing ice. The Blend-X does all of that relatively quietly too, which is always a bonus. Like other machines with an 800W motor this blender is not that quick, and can not blitz ingredients in seconds, it takes its time, but the results speak for themselves in the end. Where other blenders use power to get the job done, the Dualit 83810 uses technology. The innovative design of the blades and the jug uses a patented 'VortecS' system. The six blades of the cutter are each designed to carry out a specific role, with some angled, some serrated, and others aimed at getting the ingredients back into the blending area. The aim is to get the same result for less power, and it seems to work. The jug is made of a high-quality reinforced plastic and has fins inside which push the ingredients back toward the blades making the process quicker and more efficient. With a 2-liter capacity, the blender works best with larger quantities. The blender has seven preset controls, and users were particularly impressed by the 'snow drift' ice crusher which turns out smoothly blended ice ideal for smoothies or ice cones. Although the Dualit is well built and will stand the test of time in the kitchen, it is let down by the control panel, which appears to be a sticker. This could easily get marked and is a bit of a letdown. Not everyone has deep pockets and can afford a highly-priced super-blender. The Lakeland is the budget conscious cook, looking for a machine that will blend soups and smoothies, without any fuss. The styling is classically blender with a glass jug on top of a stainless steel base. The illuminated controls on the front of the base give the blender a smart modern look. Like most of the cheaper machines, the blender is loud when in operation and is heavy. Some customers have warned not to put too hot items in the glass jug as there have been instances of it cracking due to excessive heat. This really is in a category of its own, as it is sometimes called, uses magnetic induction to power the blades in the blending jug. This does away with a direct link between the motor and the jar blades, and also allows a sleeker and refined design. Unlike other blenders, there is no swirling liquid in a jug perched on top of a spinning motor leading to vibration and instability. Instead, the KitchenAid Magnetic Drive blender sits low on the worktop, so is, therefore, more stable, and sleeker in design. Some users say making sure the jug is sitting correctly at the start of blending takes a while to get used to. A light on the control panel shows you when everything is in the right place. For design and ease of use, the KitchenAid is probably one of the best blenders on the market. However, this is for the serious juicer, soup maker, or cocktail aficionado. With a build quality second to none, it should last a devoted smoothie fan for many years. The KitchenAid Magnetic Drive has been picked up as a highlighted product by European Consumer Choice. Users have commented how surprised they were by its performance, and describe it as a 'robot blender' capable of taking care of everything as it is functional, easy to use, beautiful and easy to clean. Standing on a kitchen countertop, the Magimix Le Blender looks classic and compact. It's everyone's idea of what a blender should look like. What's inside lives up to the look of the outside. The Magimix model is an excellent all-around performer with its 1200W motor, heat proof glass jug and watertight lid. The controls are simple with four preset speeds for desserts, soups, smoothies, and ice, with the added ability to pulse. The quiet operation means it will get on doing its job without being too intrusive in the kitchen. The Magimix Le Blender produces smooth liquids with no unwanted lumps to spoil your culinary creations. An attachment, which is sold separately, can turn the machine into a bullet blender for individual servings. All this power and smoothness comes with a price, the machine is heavy, and you are not likely to want to move it around the kitchen very much. This is a brand that oozes retro style, and the Smeg blender would look good in any kitchen from the 1950s until today. With a choice of seven colors, it's one of those kitchen gadgets that will have center stage on your worktop. Like other blenders we have reviewed, the Smeg has presets for different operations such as soup and smoothie making. It has clear easy to use controls. The 1.5-liter jug locks onto the base for safe operation, and the motor will switch off automatically if it begins to overheat, or the jar is removed. As with other 800W machines, the Smeg struggles with drier ingredients or frozen fruit and is not as quick as the more expensive brands. It has been important when considering our 10 best blenders to make sure the machines are made from high-quality materials. Of all the gadgets in the kitchen, blenders probably have the hardest life, with the motor always having to work against the ingredients in the jug. A blender that is going to last years is often an expensive purchase for the kitchen, so durability is a factor that has been taken into consideration. It has also been important to make sure all the blenders reviewed are easy to use and have nothing too complicated for the kitchen. Although blenders are generally kitchen gadgets most people would not maintain themselves, it is crucial that the machine can be stripped down to a few component parts for cleaning after use. Before embarking on selecting the best blenders, we asked ourselves a series of questions that are important for the users. How much do you want to spend on a blender? There is a broad range of prices, and there is likely to be one ideal for your needs and your budget. We took into consideration cheaper options as well as more expensive ones. Next, it is best to ask how powerful do you need your blender to be. Buying a cheaper model will save you money in the short term, and usually, they are not as powerful, but it can be a false economy. The more expensive models have longer warranties and are made to last. Among our top 10 blenders you will find powerful and expensive models as well as cheaper but still highly functional ones. We also considered how much space the blender will take up. They are designed to sit out on the countertop. Most are designed to fit in the 50cm space between the worktop, and any wall mounted cupboards. Finally, we considered how many people you will be blending for? Is it just for you, or the rest of the family. All the blenders we have reviewed here are big enough to produce blended smoothies or soups for all the family. First of all, let’s think about what makes up the blender, and what you should look out for when choosing from the vast array available in the shops. There are basically two distinct parts to any large jug blender, the jar itself which can be made from either glass or plastic and the motor unit base, which houses all the electrical components and the controls. The jug can be made of either glass or plastic. There are advantages with plastic because it is lighter, but it can absorb odors and is more easily scratched. Glass jugs are heavier, especially when they are full, but are generally more sturdy, and look good too. Some premium brands use a high-quality extra durable plastic that looks like glass which incorporates the best of both worlds. A lot of kitchen appliances get used once, and never again because the thought of cleaning it afterward is too daunting. So, its best to make sure the blender you buy can be popped into the dishwasher after use. What is also useful is if the blades that do the blending or chopping can be removed from the jug and cleaned separately. When it comes to controlling, it’s better to have more than less, so machines with a few preset speeds are less versatile than those that have more or a variable speed control. Some blenders come with programmed speeds for specific tasks such as making milkshakes or chopping. The more advanced options include settings for crushing ice for frozen drinks, smoothies, or even cocktails. You have to be careful, if the manufacturer does not explicitly say your blender is suitable for crushing ice, then using it to do so will most likely blunt the blades, and they will need replacing. If you intend to grind or mill dry items, some of the more expensive brands of blender provide a separate jug for grinding things like coffee beans or nuts. You will usually find a tamper tool as one of the accessories when you buy a blender. This can be used to push ingredients safely toward the blades when things get stuck. It can be useful when dealing with thicker mixes such as instant ice cream. However, as a general rule, you should not need to use the tamper, as the blender should be able to do its work without you lending a hand. With all those ingredients spinning around inside the jug, you need a good lid on the top to stop things flying everywhere. A tight seal is necessary so that there is no leakage of liquids when the blender is working. Also, it’s a good if there is a removable insert in the lid so you can add ingredients as you go, for precise blending when you are making, for example, homemade mayonnaise. Remember, these blenders are heavy, and are likely to stay on the kitchen countertop all the time. It’s not something you want to be lugging in and out of cupboards. Most are designed to sit on the counter, and stow below any wall mounted cabinets. A tight fitting lid, so there are no spills when the blender is working. It should also be easy to take on and off, and dishwasher safe. A removable plug in the lid that can act as a pour spout or a means to add ingredients when blending. A stable base as blenders that wobble and vibrate a bit are not going to be performing at their peak efficiency, and so will take a longer time to do their job. Always look for a blender that is easy to clean. Some of the jugs need to be washed with soapy water immediately after use, better to have one that can be put straight in the dishwasher. I would advise not to consider blenders where the jugs need to be hand washed, as that increases the chance of cutting your fingers on the sharp blades in the bottom of the jar. If you just want a blender to make smoothies, then best to stick to the cheaper models on the market. However, if you want to be more adventurous in your cooking, and want to make your own mayonnaise, or grind coffee or grains, or even experiment making cocktails in your blender then the advice is to buy the best you can afford as it will pay you back many times over during its lifetime. Most blenders come with a one-year warranty, but if you go for the more expensive and professional models, they are likely to have longer warranty periods, which can be extended. Blending food provides many dietary benefits such as losing weight as well as making you feel stronger both mentally and physically. By blending food, you are making it possible to extract the maximum amount of nutrients from food. You will also find that it takes little effort and hardly any time! Blending is quick and provides an easy cleanup. When you blend your food, you are able to consume more sustenance, even during the most active and busy schedules which may not permit you to sit down and enjoy a meal. Clean up is especially quick and easy because all you need to really clean is the blender. You are also provided with the added bonus of an easier preparation. You can either prepare your fresh foods the night before blending, or use frozen food for more convenience because they require little to no preparation. As an added bonus, frozen foods have been reported to be more nutritious than their fresh equivalents, most likely due to the fact that they are frozen at the pinnacle of their freshness. However, fresh and frozen food are fairly similar in their dietary benefits. Makes it easier to add more nutrition to your diet. On average, an individual needs about a combined six cups of fruits and vegetables per day in their diet. However, this can be difficult to achieve. By blending your food, you are ensuring that you are gaining the proper amount of nutrients. When you blend your fruits and vegetables, your body is able to ingest vitamins and nutrients more efficiently. You are also able to make your smoothie more beneficial by adding protein powder. Blending helps convert fat quicker. When we eat solid foods, it can take a while for the digestive system to break the foods that we do not necessarily need down and convert them into fat. Blending these foods into liquid simplifies this process as our body can almost immediately transform the food into beneficial value while altering other items into fat cells to store energy. It does not spike your blood sugar as much as juicing can. The fiber content in smoothies will simplify in modifying your blood sugar levels and also help to regulate your weight control. There will be less sugar content entering your bloodstream which causes a drop later on. This will keep you feeling full and focused. A great way to consume superfoods. Superfoods include avocado, spinach, edamame, chlorella, spirulina, cacao, goji berries, chia seeds, flax seeds and protein powder, to name a few. By adding these super foods into your blender, you can add a nutritional boost to your day. Superfoods are nutrient-rich and help you fight disease, feel more energized, and lose weight. It is one of the best ways to add greens to your diet. Greens produce chlorophyll, which in turn enhances your body’s ability to produce hemoglobin. This strengthens the delivery of oxygen to the cells of your body. Not many people enjoy eating greens as they can have a ‘bitter’ taste. However, when you blend these vegetables with fruits, you can hide the taste of greens. It can be used as a meal replacement. By adding protein powder and a lot of nutritional ingredients, these smoothies can be used as a meal replacement. When you blend smoothies that are nutrient rich, you can make yourself a treat that will last you until your next meal. Your body is more than capable of extracting vitamins from foods, however, when these foods are blended, the cell walls are broken, which helps release nutrients that might have passed through the body otherwise untouched. By blending you are consuming less fat. Blended fruits and vegetables provide you with the health benefit of containing practically no fat. This is essential to those who want to control their weight and keep themselves in good health, as they find many foods contain fats that are high in calories or are just bad for your overall health. If you suffer from constipation, type-two diabetes, or colon cancer, blending food has been said to boost your fiber to help prevent disease as well as help with treatment. There are also some very beneficial protein powders on the market that can provide you with an extra boost. Proteins are crucial for your body’s muscles and helps boost your immunity. Some protein powders you can find include organic, vegan, raw gluten-free, and non-GMO. Do You Lose Nutrients When Blending? A main concern for many people is whether or not nutrients are lost while blending. In this article, we hope to shed some light on this topic. Smoothies are very beneficial as they can provide a nutritious snack or breakfast by serving the recommended daily fruit value. Let’s first look at the difference between blending vs. juicing. 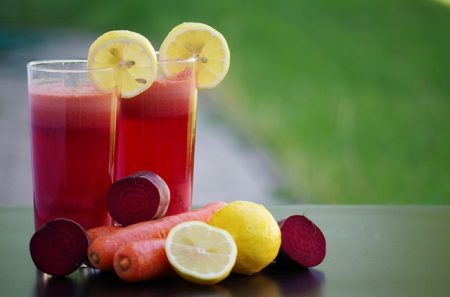 A big drawback that is encountered from juicing is that it does not retain its fiber. However, blending keeps all of its dietary fiber which aids in lowering cholesterol levels and reduces the risk of diabetes as well as heart disease. This is likely due to the fact that when you blend most fruits and vegetables, all the unhealthy fats that contain a lot of calories and are generally not healthy for you are removed. You are also able to add nutritional fats, such as those that can be found in hemp oil and flax oil. Another benefit that can be found from blending is that it helps with symptoms related to constipation and diverticulitis. While blending, you are mostly altering the texture and appearance of you fruits and vegetables, according to Fruit and Veggies More Matters. By blending your food, you are making it into a drinkable or spoon-able substance. This simply does not cause your fruits and vegetables to lose their nutrients. However, blending these fruits and vegetables and then storing them for an extended amount of time can cause the smoothie’s nutritional value to change. The longer you store your blended fruits, the more nutrient degradation your drink will suffer. There are a few nutrients that are sensitive to heat such as vitamin C. When these nutrients are cooked or blended for an extended amount of time, it can lead to these nutrients being destroyed. When you use a blender for an extended amount of time, the blender can generate heat, causing the nutrient to be abolished. Blending your fruits for a short period of time can help reduce the risk of losing nutrients. When you are preparing to blend your smoothie, it is best to avoid washing or soaking any cut or pealed pieces in water because some vitamins are water soluble. These vitamins include vitamin C and B vitamins. If you are planning to use the liquid with which you are soaking the cut or pealed pieces of fruit in, then this will keep some of its nutritional value. It is an important concern for many people who blend whether or not they are receiving all of the nutrients possible from their smoothies. Whenever you blend your food, you are, for the most part, only changing its appearance and texture. However, it appears that as long as you do not heat your food by cooking or blending for an extended period and as long as you avoid soaking cut or peeled fruits and vegetables, then you have nothing to worry about. Q: How much do I need to spend on a blender? Most regular blenders are affordable, but there are the new super-blenders coming from known brands among which we find Sage and KitchenAid which are quite pricey. Super-blenders are likely to be able to do the hard work such as grain milling, producing nut milk, heating soup, and cutting veg. These super-blenders usually come with lengthy guarantees along with claims to be longer lasting than cheaper models. More power does not necessarily mean more powerful blending, but if you want a BPA-free plastic jug, extra blades and/or attachments for different chopping jobs, or an extended guarantee, you’ll need to spend money. Q: Should I buy a smaller personal style blender or one for the countertop? It really depends on what you are after, something personal, or something to blend for the whole family. The newer small personal blenders are compact and combine fruit and pour into a commuter cup. The entry level Nutribullet for example costs double the cheapest of the traditional countertop blenders we have reviewed. These personal blenders are handy, without a doubt. They can blitz fruit, and mill grains and seeds for the health conscious, but to do that you have to change the blades, which can be tricky. If you are looking for something that is convenient, then the personal blender is for you, but honestly how many people do you know who carry their own blender? Q: Won’t a juicer work as well? These are a bit like jug blenders. The main difference is that smoothie makers usually have a tap for dispensing so you can pour the liquid straight into a glass. They used to be ubiquitous in every kitchen store, but have gone the way of a lot of gadgets and been overtaken by devices as is the Nutribullet. The big drawback with smoothie makers was that the tap could get clogged up if the machine wasn’t making the fruit liquid enough. A blender is NOT a juicer. A juicer by its very name removes the liquid part from fruit and vegetables, leaving the pulp behind. Some people will argue that extracting the pulp from fruit and vegetables reduces the fiber and vitamin content in the product. Blenders blitz the ingredients giving a thicker liquid, and with no waste pulp. Q: Do I need a blender or actually a soup maker? Soup makers vary from blenders by having a heating element at the bottom of the jug. Once all the ingredients are blended, then the heater kicks in to prepare the piping hot soup. It does away with the need to decant the blended vegetables into another container to be either heated on a stove or in a microwave. If you are just looking to make soups, then they are ideal, but most people prefer the versatility a blender offers with the ability to make smoothies, grind coffee or grain, or crush ice. Q: I have a food processor, so why do I need a blender? Whatever it might say on the box a food processor will not liquidize. It will finely chop up to produce a smooth consistency, but it won’t go that extra step to getting things perfectly silky. And on the other hand, a blender won’t work unless there is plenty of liquid. Don’t expect any of the blenders reviewed here to chop an onion more make hummus, they just can’t. The super-blenders, or should I say the more expensive blenders reviewed here though blur the lines. They have the power to chop ingredients, and even mix dough. With their fantastically powerful motors, the super-blenders can pulverize frozen fruit into sorbet, or turn a handful of cinnamon sticks into a powder. Q: What is the jug made of? When buying a blender, it is important to consider what the jug or jar is made from. The most common material is toughened glass. It allows you to see the contents while the blending is taking place, and is easy to clean, and will not suffer from any lasting odors. However, glass jugs are generally cumbersome, especially when they are full of liquid, and some people find them difficult to manage. For a lighter alternative, a polycarbonate plastic is often used. Cheaper models use plastics which can be easily scratched and will absorb odors. The premium brands have high-quality, sturdy plastic that resists scratching and will survive the knocks and scrapes of a busy kitchen. A few models do have a stainless steel jug, which is lighter than glass, and is easy to clean, but does not allow the user to see what is going on during the blending process. Q: How do I clean my blender? The first piece of advice you should take on board is clean your blender IMMEDIATELY after use. Don’t wait for the remaining contents to dry out inside, as this will make cleaning more difficult. For a thorough cleaning, it is best to take the jug from the base, and then unscrew the bottom component which allows you to remove the blade and the seal. Be careful as the blade can be sharp. Clean the jug with warm soapy water, and leave to drain. Usually, this piece can be cleaned in the top rack of a dishwasher, although hand washing is typically quicker. The smaller components need to be washed by hand, being extra careful with the blades. They should be allowed to drain and thoroughly dry before reassembly. If you have not been able to remove any stains from the blender, then you should put it back together again, and then run a 50:50 mixture of water and baking powder through the machine. Then go through the cleaning process again. The base can be then wiped down to remove any dirt, and then the perfectly clean blender reassembled and stored.